Teams huddle ahead of intense competitions, clubs unveil new innovations, and individual students tweak their latest projects in the Branam and Kremer Innovation Centers. The spaces are alive with activity, with wide-open workspaces where students collaborate across majors and bring their ideas to life. The BIC and KIC aren't just places for people who are experienced builders and tinkerers. They host classes where you can learn the hands-on skills you need to make the inventions and projects you’re dreaming of. Some of our training opportunities include classes in welding, machining, and hand forging, and general shop practices and safety. 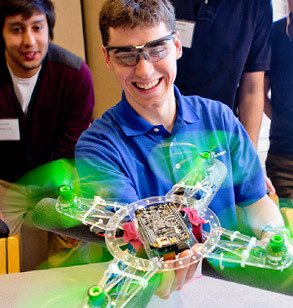 Students also use the BIC and KIC for senior design projects and competition teams. 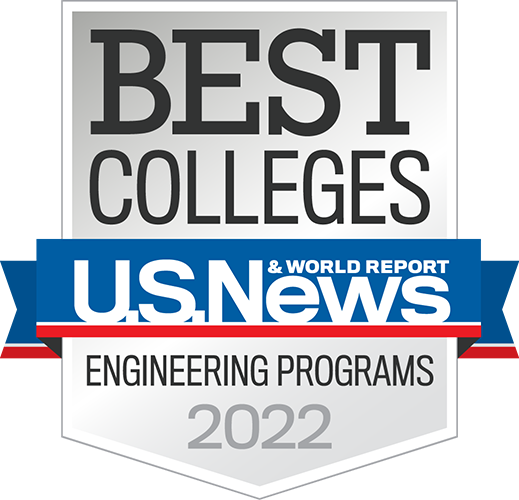 Keep scrolling to learn more about these and other opportunities to practice innovation. Welcome to the Branam Innovation Center, a dedicated space where student competition teams and project groups can bring their ideas to life. Here you'll find everything from robotics to race cars, along with the tools and equipment to build them. The foundational knowledge you learn only gets you to the batter’s box. Now, you’ve got to do something with it. You’ve got to solve problems, you’ve got to innovate and you’ve got to come up with new products. 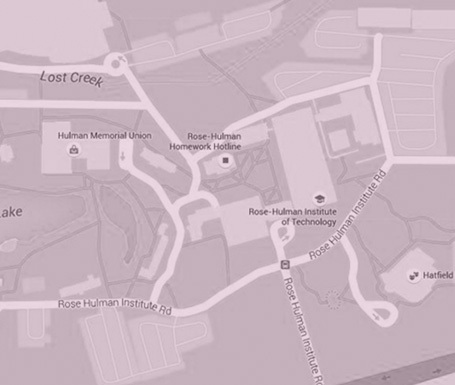 And that’s what Rose does, and that’s where they excel. Not many colleges have that mindset. Whether you’re into combat robots, race cars, or humanitarian design, you’ll find a team or club that fits you. Check out some of the groups that call the BIC and KIC home. The Rose ChemE Car team competes in the AiCHE ChemE Car competition by designing a shoe-box sized car that runs on a chemical energy source. 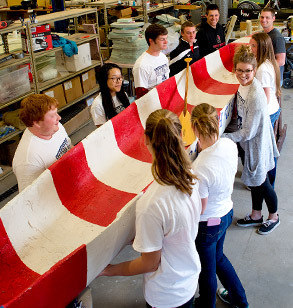 They make everything from the concrete mix, the reinforcement within the concrete, to the shape of the canoe itself before competing each year in the ASCE Great Lakes Competition. 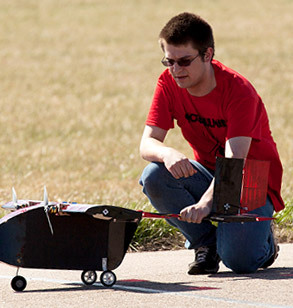 The Design-Build-Fly team competes in annual international student design competitions. Over the years, the team has successfully created aircraft to serve as: a platform for multiple sensors, a reconfigurable short field transport, and an unmanned surveillance/attack aircraft. 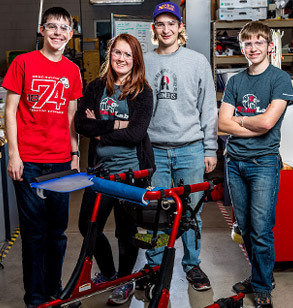 Each year the HPV team builds a vehicle from scratch for the American Society of Mechanical Engineers’ Human Powered Vehicle Challenge competitions. Want to use your abilities to make a difference in the lives of others AND get course credit for it? Make It Happen is a unique program that allows you to do just that—as early as your freshman year! Maybe you like to build things, or maybe you’re hungry for hands-on experience. 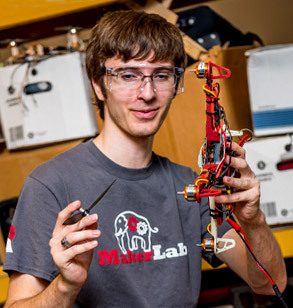 Maker Lab club will give you access to the space, tools, and knowledge you need. The NXP Cup team competes with a small-scale autonomous vehicle to finish a random multi-turn racetrack as quickly as possible. 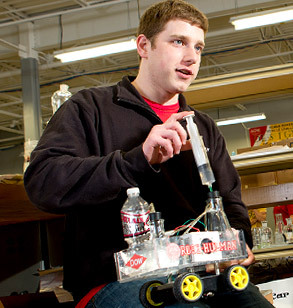 The Robotics team competes in international challenges while following the latest developments in the field. Team members also network with tech companies to learn about exciting career opportunities. 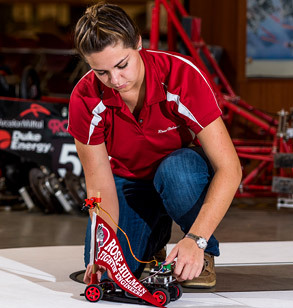 This multidisciplinary team strives for the highest mileage when competing in the Shell Eco-Marathon each year. 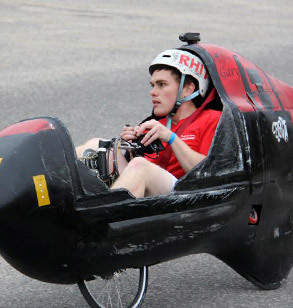 Their team record is a whopping 1972 mpg. 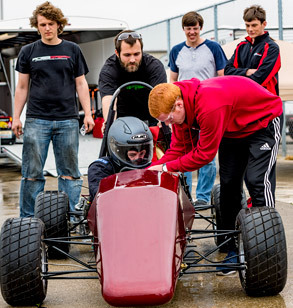 The members of RoseGPE put their skills to the test as they design and build open-wheeled race cars for the Formula SAE competition. 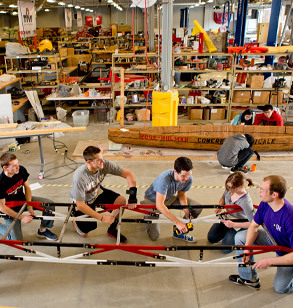 Each year, this club designs and fabricates a new bridge which is judged on aesthetics, strength, weight, and construction time at the ASCE Great Lakes Conference. Gearheads unite! Team Rose Motorsports is the place for wrenching on your own car or working on a club vehicle to prepare for autocross and other competitions. 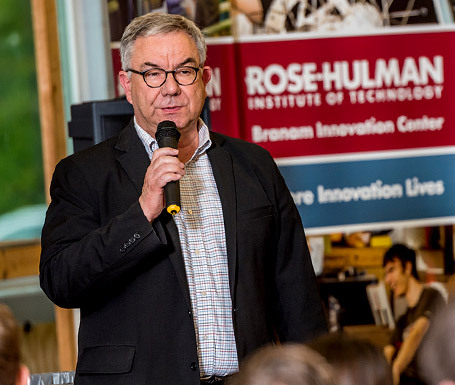 Dr. Kline is Associate Dean of Innovation and Professor of Engineering Management at Rose-Hulman.